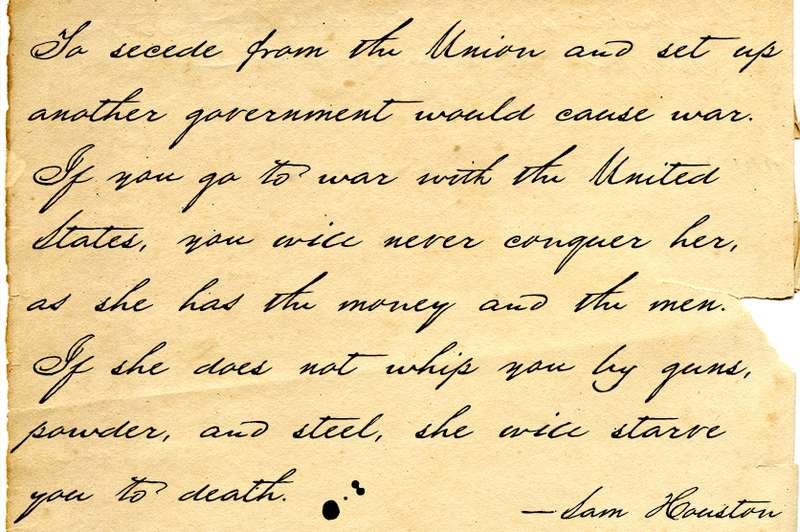 Early Texas patriots had fascinating penmanship. In researching Texas Hero a few years back, I had occasion to pore over copies of letters by the likes of Stephen F. Austin, William B. Travis, Thomas J. Rusk, and others. Austin’s hand was pretty messy. Young, brave Travis wrote his last during the Alamo siege. Rusk’s suited my original task. But a couple other styles caught my eyeamong them the bold yet graceful strokes of Sam Houston, the Texas Hero. 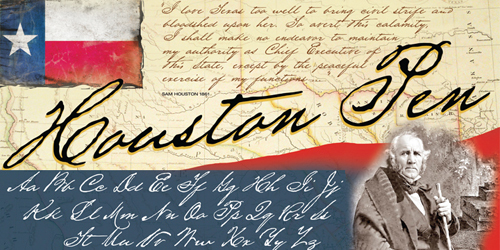 Houston Pen is the second of four faces inspired by the handwriting of heroic Texans. Has a complete character set. US$39.